in behavioural modelling there are two BEGINS in syntax , one is for declarative part and another is for statement part. The one in declarative part consist of process , u havn’t shown them here. the [architecture _declarative_part ] is optional part …so it can be written or left as per the requirement. hi you have started architecture and started with begin keyword so you need one end extra. hi daniel , soon i will upload the same…!!! hi could you please email me the vhdl code for full adder and Decimal Arthmetic Unit Design. HI for the Full Adder code what is the input and how do we declare what to A, B and Cin is? 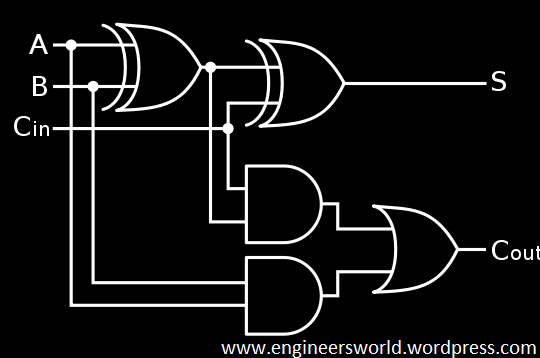 i need the vhdl code for modified carry select adder ..can u pls provide the code ….